As a technology-centered company, formed by a group of like-minded individuals who set out to advance Blockchain Technology, we will focus on finding the BP candidates that are truly immersed in this powerful technology. As stakeholders of EOS, we have the best interest of EOS in mind and wishes the network reaches its full potentials. As long as the candidates are positively contributing to the EOS ecosystem, we are not concerned with their background or affiliations. Based on our background in the tech industry, Infinity Stones Proxy prefer individuals and entities that have proven technical competencies in blockchain industry, or who are actively promoting the blockchain technology. We will evaluate potential candidates’ overall contribution to the EOS ecosystem based on the criteria discussed above and cast our votes. 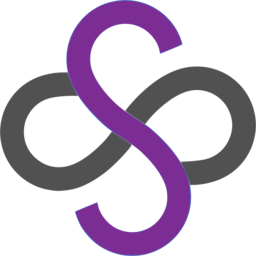 Infinity Stones is a silicon valley based technology company that specializes in both cloud management platform and cybersecurity protections for blockchains. Our core team is comprised of senior engineers, economists, and business leaders from established companies in the hi-tech and investment industries such as Google, Oracle, Intel, and UBS Investment Bank. We are experienced in hosting nodes on many blockchains and would like to share our expertise with the EOS community. We are confident that Blockchain can be the next technology that helps society to increase productivity significantly.